Biatain Silicone Foam Dressing model #3438 are unique in their ability to manage low-to-high levels fo wound exudate across a variety of wound types. 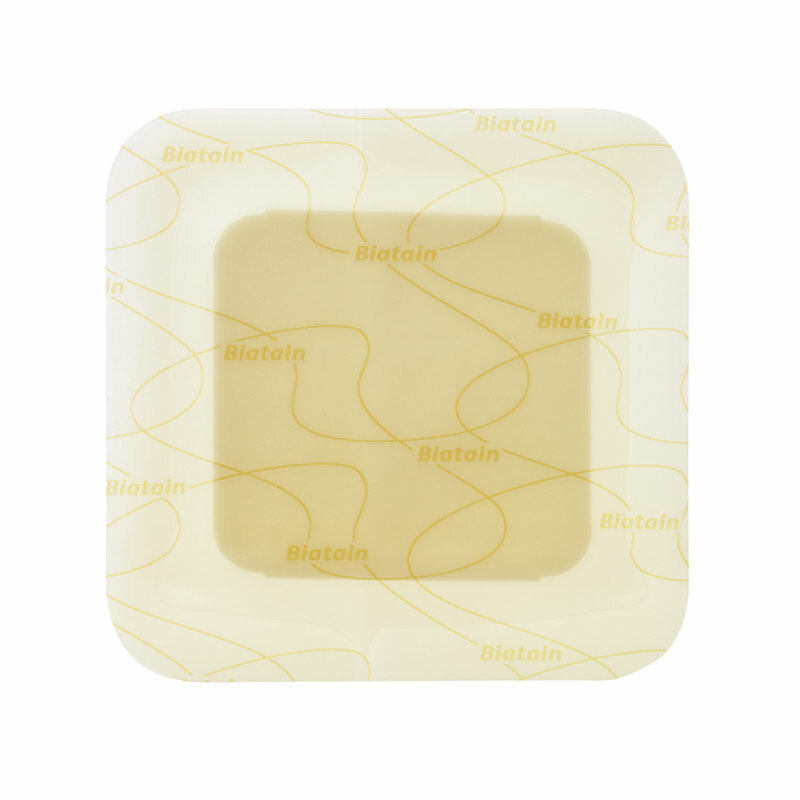 Biatain Silicone Foam Dressing (HCPC: A6212) are unique in their ability to manage low-to-high levels fo wound exudate across a variety of wound types. 3D Polymer foam structure absorbs and locks away exudate without sticking to the wound bed. Highly permeable top film layer allows for optimal moist wound enviroment and protects from water and external contaminants. Broad range of non-adhesive and adhesive options, including specialized shape for the heel and sacrum. Not made with natural rubber latex.